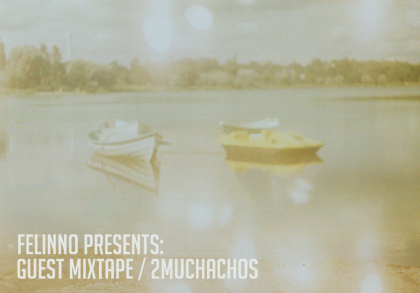 2muchachos stuff: interview + mixtape for felinno!! interview + mixtape for felinno!! Felinno: How did you meet – and how did you get started making music as 2muchachos? Vladimir: Dmitry is our guitarist. He and I studied together in school. After that, we got hold of an old synthesizer and – for a joke – invented the name 2muchachos. We were joined by Alexandra; she would just attend our rehearsals and started to sing along. Eventually we bought her a bass guitar. V: We started studying music way back in our early childhood. I was singing solos even in kindergarten. Dmitry studied the balalaika in his early school years; Alexandra has been singing in choirs since she was 11. So you can see that we all got a serious education! (Laughs) We would all listen to the music from Soviet fairy tales, films and cartoons as we grew up; they were available on records. That material would have a big influence on our taste later on. Alexandra: My parents played in a band; my Dad was on drums, and my Mom sang or played keyboards. F: How do you view the Russian independent music scene today? V: Independent music doesn’t have a big following in Russia. The majority of interesting and talented performers go unnoticed – but they certainly try and support one another. We, for example, are more than happy to help our friends in bands and projects like Ifwe, Valotihkuu, Bedroom Bear, Night Dew Call, I.m.m.u.r.e., Skajite Michilu, Mpala Garoo… etc. F: What can you tell us about your recording process? I mean the field recordings you use, together with old analog synths, and retro cameras? V: We record various sounds from nature: bird songs and so on. We do that using a Dictaphone – and turn some of those noises into a backdrop for our music. Other noises are used in producing beats. In “Polaroid Dreams” say, we used the noise of a Zenit camera shutter; in “Northern Sea Ghosts” you find the sound of freezing-cold stones. We just want to share our local atmosphere here with other people. As for old analog synths, we simply like the sound a lot. We’re fond of Soviet synthesizers, like Formanta, Alisa, Elektronika 003, and Maestro. They’ve got a unique, warm sound – and there’s nothing better for transmitting our feelings. A: The old camera we like best is that Zenit. It reproduces exactly the kind of color range we see (and feel) around us. It all looks like old, faded imagery. F: The first time I heard your music, I had the lovely sensation of being half-awake, in the middle of some lush, green, landscape. How that relationship between nature and fantasy influence your music or visual style? A: We get around a lot using bicycles – or sometimes we walk back and forth to a cottage that’s not far from our hometown. It’s in a quiet stretch of forest, not far from the Rybinsk Reservoir. That general location helps us to write music a great deal. We’re generally big fans of nature. We’ll often take a tent and head off to some distant place… You really feel a sense of liberty when you get into those surroundings. V: Nature and the forest are important to us. They’re the only place where you can feel at ease and distance yourself from the pointless chatter of the city. It’s only when you feel the peace and quiet that you’ll be able to appreciate the beauty and fundamental kindness of nature. That’s the sphere we’d like our listeners to both sense and appreciate. F: You’ve published a lot of works, each of which is unique in its way, but I’d like to ask about your debut album, “Formanta” (2010). Can you tell me something about that record? V: It was produced over the course of several years, starting when we first came together. The title comes from the Latin word for “formation,” in fact, and is also the name of a Soviet synth. It’s fair to say that the album has a fixed concept behind it. Everything’s based around a calendar year, beginning in the autumn. Each track flows into the next and the work as a whole reflects our ideas regarding some fundamental issues like time, freedom, dreaming, fear, love, and mutual understanding. F: So what about the newest work, “Vesnywki!!”? V: Our mood often depends upon the time of year and our EPs are designed to let us share those same, changing emotions. A: The EP is our own, special way of saying thanks to those people who’ve inspired us. 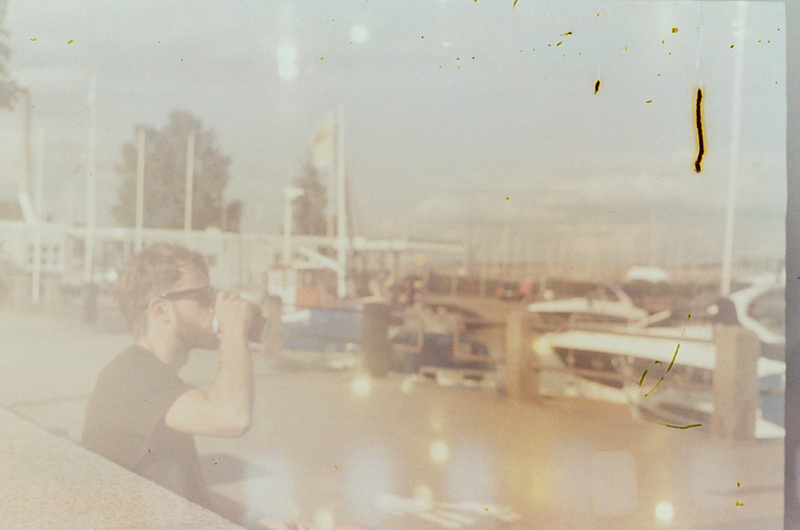 “Polaroid Dreams” and “Striwi Kri4at” for example, are dedicated to specific individuals. Then there’s the track “Spring Breath” which is a variation of “Forest Breath” – something you’ll find on a forthcoming release. F: You were recently on the Beko 100 compilation -how was your involvement with that French label? Any other plans to work together? A: We’ve always liked that label and have corresponded with Reno on Facebook. It was she who wrote and suggested we publish something together. We’ve also collaborated with Reno’s own project, “Press Color.” One of those tracks includes my vocals. V: We look forward to working more with Beko and will always be glad to collaborate in some form. F: Can you say a few words about your next album? You say it’s inspired by the forest again? V: Yes, that’s absolutely right. As we said, the forest remains a really important and special place. It’s never what it appears to be at first glance; the forest reflects our internal world. It’s embodies what you might call the atmosphere of our subconscious – a state that allows you both to perceive and analyze reality more accurately. That new album won’t be as positive in outlook as the EPs. It’s more of a flipside to what we’ve done already. We’ve been working on it for a couple of years – and the material’s all ready now. We just need to fix the final details. We’d like to release it by the end of the summer. A: When we were recording it, a few bizarre events took place. One night, when we were completely alone in the forest cottage we just mentioned, we were working on the track “Forest Knows.” A huge fir tree – all of a sudden – collapsed on the roof. And then, not long ago, we were discussing some possible artwork for the album, and an owl appeared from nowhere! Maybe they were signs! (Laughs). 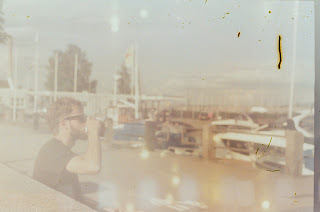 "We wanted the tracks to evoke the atmosphere of an old, overexposed photo – something showing a careless, sunny day. We also wanted to share some of our favorite music with people, plus some recent songs – ones that can conjure specific emotions" - 2muchachos. We came across these guys when we found their four-track EP from 2008. Their style and sound, especially the synths, remind us of the UK band Broadcast, whom we love. This is a track from the Beko 100 compilation. We reckon this is the prefect soundtrack to a carefree summer picnic. The track is a new version of something from the EP "Time To Meet Outside." When I first heard this masterpiece, it really blew my mind! I think it’s the band’s best work to date. One of my big revelations from the start of the year, but it sounds like something I’ve known my whole life. Classic Krautpop! I remember being younger and often listening to this on a cassette player during the summer holidays. This wonderful girl has already put out a great single on the Beko label we’re so fond of. That’s when we noticed her and fell under the spell of her innocent songs. A balearic duet from Sweden; great music for the summer. We really recommend “Caught in the Breeze” (2007). Another of this year’s discoveries! A great track to put you in a good mood; it’s got an easy-going but crazy rhythm section, like something taken out of an old video- or computer game. A great synth sound here, not to mention the lovely retro-style of the song overall. Sunny pop-harmonies and a warm-sounding track; together those things make me happy! One of last year’s favorites. This music sounds like it was written in the distant past. We’re all big fans of their style. Highly recommended! A track of real genius! Endlessly deep melodies and a really special sound. 17. Eugene Krylatov and Yuriy Entin – Theme music to “Guest from the Future” (1984). This is one of the melodies with which we grew up. It comes from one of the best-known Soviet TV films for kids. Whenever it was broadcast, the streets would be empty! Children everywhere were glued to the television. Brittany Gould’s solo-project. Lovely, fleeting melodies – they’re just like some dreamy, unfocused state of being half-awake. It sounds like Grouper (Liz Harris), whom we love so much… but sunnier. new song!! + be my friend again & again ! !